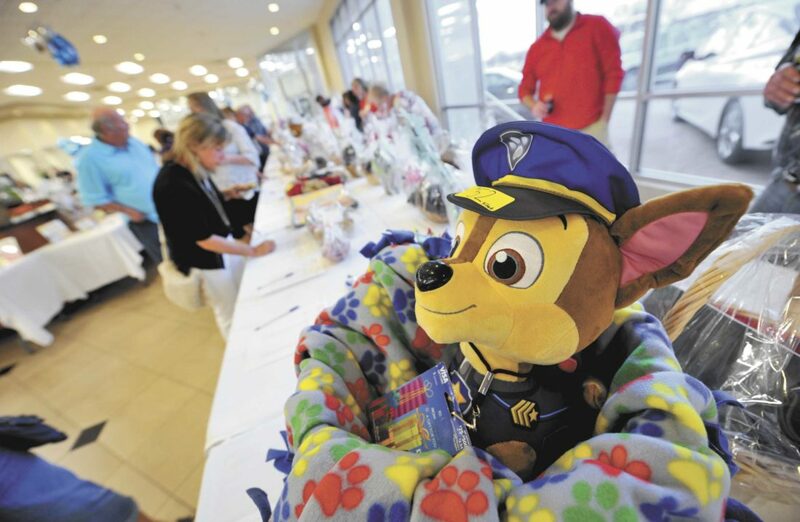 -Messenger photo by Hans Madsen This friendly PAW Patrol dog made himself at home in the silent auction basket donated by the Webster County Attorney’s Office for the 2016 “Bets for Pets” Fur Ball fundraiser for the Almost Home Humane Society of North Central Iowa at Fort Dodge Ford Toyota. The event, sponsored by Nestle Purina PetCare, raises funds for the Almost Home shelter in Fort Dodge. The evening also featured a live auction, bingo, casino games and appetizers. Almost Home Humane Society of North Central Iowa promises its guests something different this year for the ninth annual Fur Ball on Saturday, including live music, dancing and games. The festivities will begin at 7 p.m. at Fort Dodge Ford Toyota, 2725 Fifth Ave. S.
The Blue Ribbon Ramblers will entertain the guests for the night with live music. The band features Kaleb Ferry (percussionist) and Clint Reidel (singer, songwriter, guitarist), and they have been described as an outlaw folk duo. At the Fur Ball, guests will have several different ways to donate to Almost Home and have chances to win some prizes. Throughout the night guests will be able to enjoy games such as life-size Jenja, bingo, corn-hole, and poker. 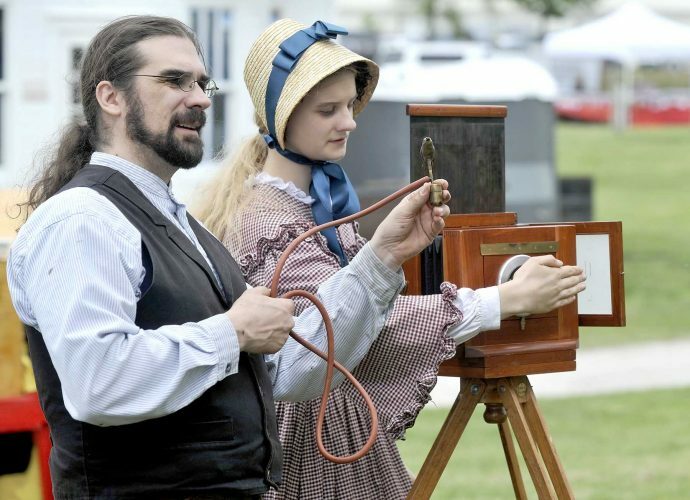 The Traveling Photo Booth will be back this year to help capture the memories of the night. Guests will also have a chance to win an Apple iPad as a door prize. Again this year there will also be silent and live auctions and a raffle. During the raffle, guests will be able to win a travel package from Northland Travel featuring a trip from the Fort Dodge Regional Airport to either fly to Minneapolis, Minnesota; Chicago, llinois; or St. Louis, Missouri; a 55-inch 4K TV and an Apple Watch. The staff of Amigo’s will be present during the night to furnish a grilled chicken entree with sides. A variety of desserts will also be provided from local bakers including Larita’s Cakes N’ More, the Fort Dodge Cheesecake Lady, and Hummingbird Confections. Proceeds from the evening will benefit the Almost Home Shelter, helping to pay for supplies, animal care, and anything that helps keep the shelter running. Almost Home is a non-profit organization that derives its funding solely from donations. The shelter is a limited intake (no-kill) facility that provides care for abandoned dogs or cats until their forever homes are found. Where: Fort Dodge Ford Toyota, 2725 Fifth Ave. S.